This newsletter provides the latest updates from the Forest Carbon Partnership Facility (FCPF), the BioCarbon Fund Initiative for Sustainable Forest Landscapes (ISFL) and related forest and climate fund work. This issue highlights news, videos and events from August to October 2018. Please enjoy and contact us with any questions or feedback. First-of-its-kind Emission Reductions Payment Agreement signed under Forest Carbon Partnership Facility! 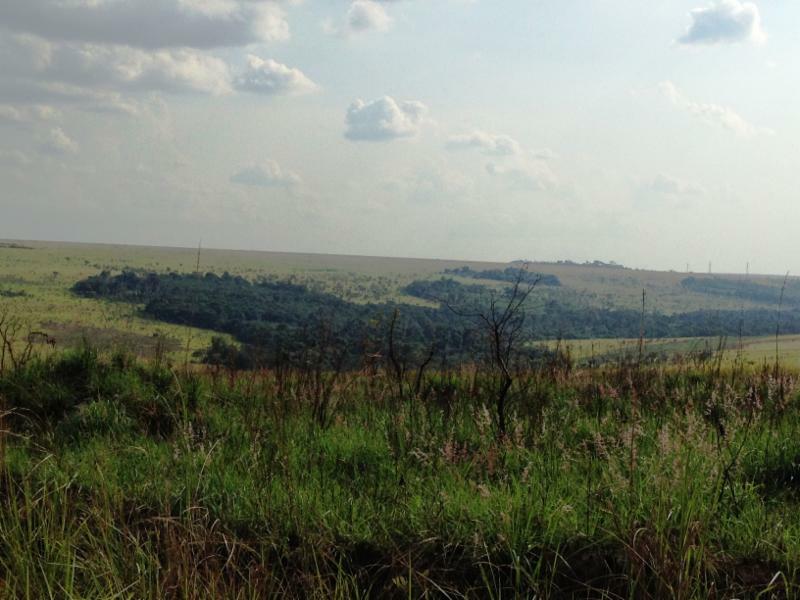 The Democratic Republic of Congo (DRC) became the first country to sign a payment agreement with the Forest Carbon Partnership Facility (FCPF), unlocking an initial $55 million to support DRC’s ongoing efforts to reduce carbon emissions from its forest and land use sectors. With this first-of-its-kind Emission Reductions Payment Agreement (ERPA) in place, the DRC can begin implementing its Emission Reductions Program in Mai Ndombe province in order to receive results-based payments from the FCPF Carbon Fund. 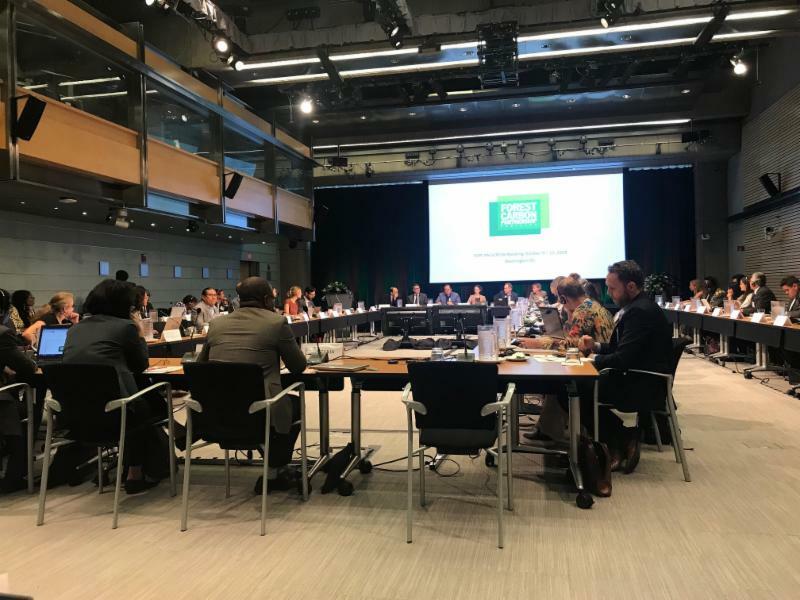 Last week, the FCPF held its 26th Participants Committee (PC) and 11th Participants Assembly (PA) meetings at the World Bank in Washington, DC, where over 100 representatives were in attendance. During the meetings, the PC endorsed readiness packages for Cote d’Ivoire, El Salvador and Uganda, and elected a new PC comprised of 14 new REDD country participants and 7 financial contributors as PC Members, and 3 countries as Observers to the Carbon Fund. 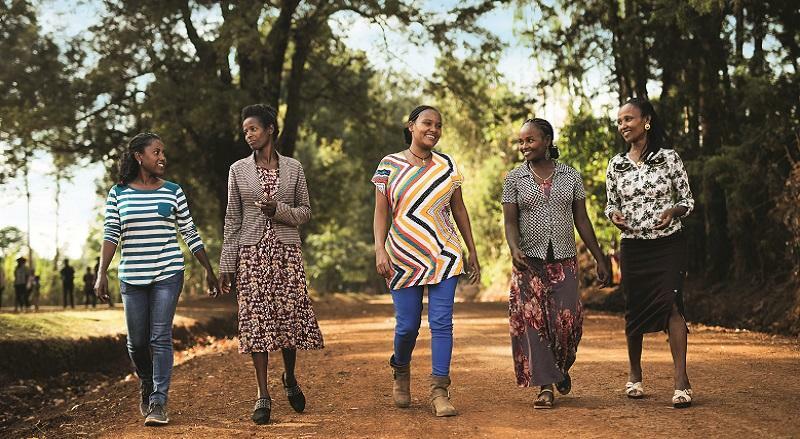 Across Ethiopia, programs that support new land management practices have opened doors to new opportunities for women, especially climate-smart jobs that reduce emissions. Since 2014, the World Bank’s BioCarbon Fund Initiative for Sustainable Forest Landscapes in Ethiopia has been working in the Oromia region to reduce deforestation and greenhouse gas emissions in the land use sector. Part of this work has involved a partnership with Nespresso to help coffee farmers in Oromia boost productivity with improved farming practices. 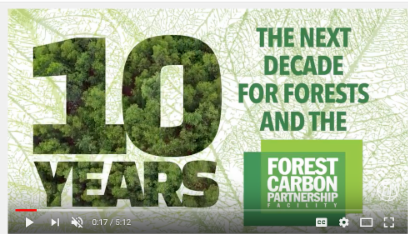 Wrapping up the 10-year anniversary of the Forest Carbon Partnership Facility, this video looks ahead to explore how forests, and the work of the FCPF, will be critical in the coming decade to mitigate climate change and create more sustainable livelihoods for the billions of people dependent on forests. 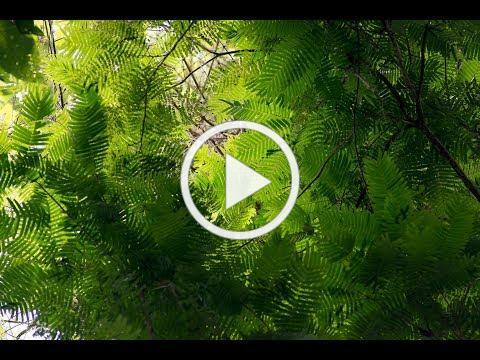 The video features interviews with distinguished voices in the global forests and climate change space, including: Patricia Espinosa (Executive Secretary, UN Framework Convention on Climate Change); Paul Polman (CEO, Unilever); representatives from the governments of Ethiopia, Lao PDR, and Madagascar; World Bank directors, and more. 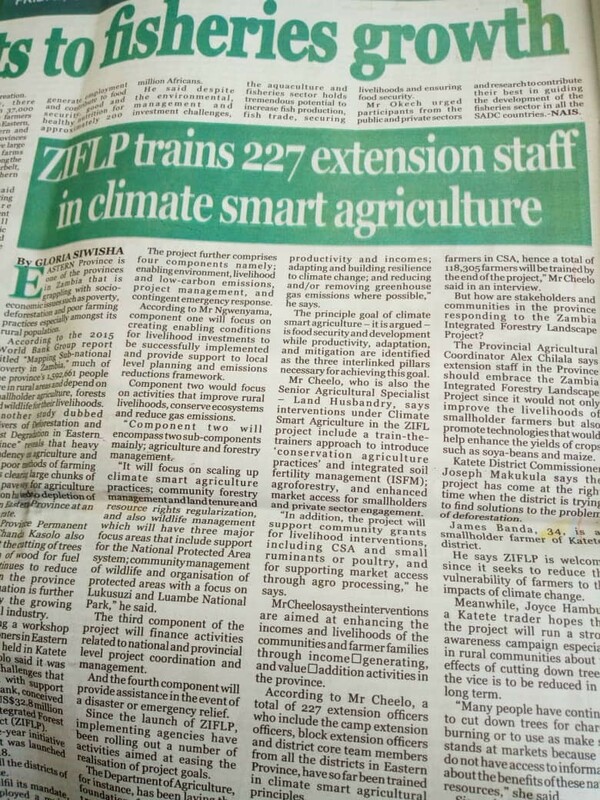 A local newspaper in Zambia highlighted the work of the BioCF Zambia training farmers in climate-smart agriculture techniques, which support lower emissions and higher resilience. The program component will focus on scaling up community forestry management, land tenure, resource rights and wildlife management. On September 18, the Trust Fund for Environmental Protection of Native Forests was established in Argentina. This instrument, created with FCPF technical and legal support, will allow, on the one hand, the ability to administer and manage the funds of Law N° 26.331, "Law of Minimum Budgets for Environmental Protection of Native Forests". 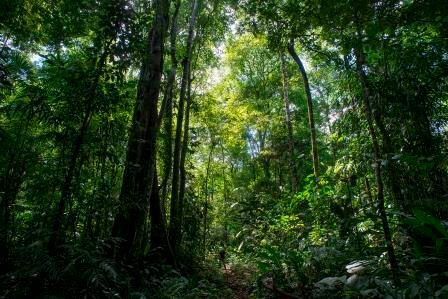 At the same time, the Fund will allow the channeling of resources to support various beneficiaries under the framework of the National Action Plan for Forests and Climate Change (The Argentina REDD+ strategy). 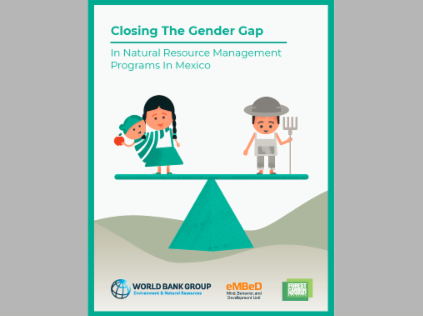 Increasing women’s participation in natural resource management programs is a persistent challenge in the sector. 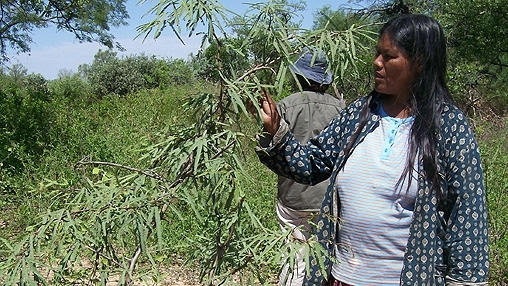 A new study in Mexico co-funded by the FCPF examines social norms and outlines best practices to engage women in conservation. This research, led by the World Bank's Environment & Natural Resources Global Practice, in collaboration with the World Bank’s new Mind, Behavior and Development unit, was presented at the Global Landscapes Forum. South-South Knowledge Exchanges can be a powerful tool for technical assistance in complex issues, such as renewable natural resources management, rural development, and inclusive value chains. 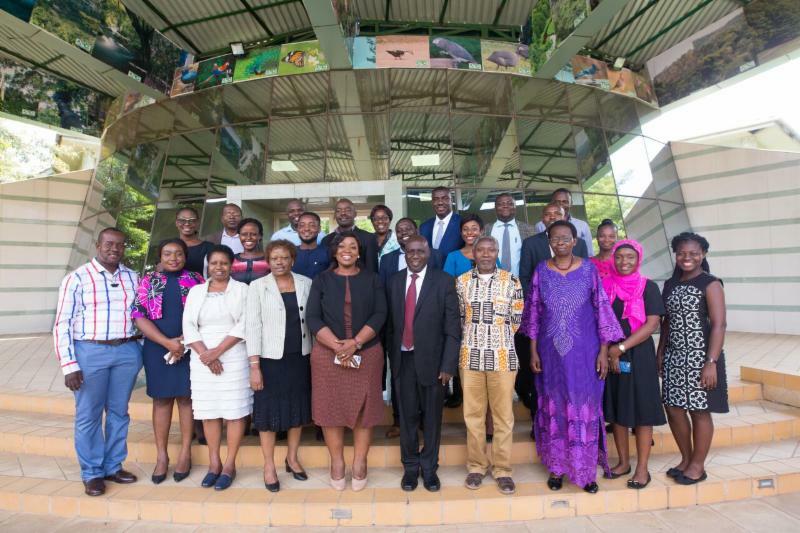 A group of countries from the Southern African Development Community (SADC) went to Brazil to share experiences on protected areas management, biodiversity financing, and local community development. This exchange presented an opportunity to strengthen knowledge and create space for discussion on innovative and sustainable financing models for protected areas. Ghana is among the few countries in Africa that have been able to achieve so much in the REDD+ process and is therefore considered a leader in sub-Saharan Africa. Uganda undertook a learning / exchange visit to Ghana to learn and benchmark on their success in finalizing all the REDD+ readiness elements, completing their forest investment plan, mobilizing resources for REDD+ investments and results based payments from various sources; and initiating implementation of the activities that are included in the national REDD+ strategy of Ghana. Enhancing the living conditions of Zambezia’s rural communities while ensuring the sustainable management of the province’s natural resources requires input from multiple sectors. 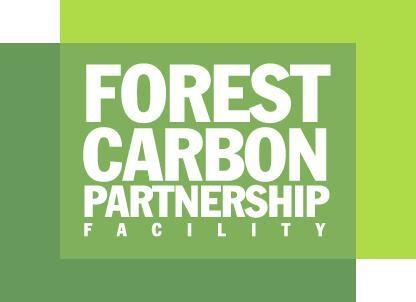 The Carbon Fund of the Forest Carbon Partnership Facility (FCPF) will pay Zambezia for success in mitigating climate change by reducing the ongoing high loss of forest cover and reducing the emissions of greenhouses gases. 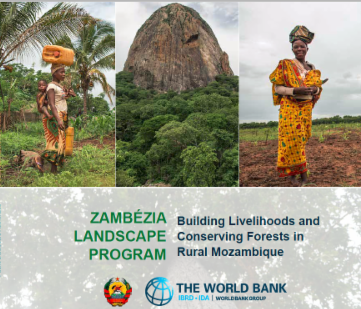 A new brochure about the Zambezia Integrated Landscape Management Program describes how the FCPF grant played a critical role in the design of the program. 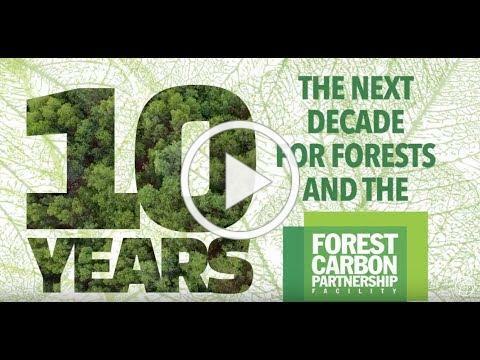 Wrapping up the 10-year anniversary of the World Bank's Forest Carbon Partnership Facility (FCPF), this video looks ahead to explore how forests, and the work of the FCPF, will be critical in the coming decade to mitigate climate change and create more sustainable livelihoods for the billions of people dependent on forests. Header: Franka Braun, PA/PC Meeting photo: Sarah Hillware, In the news photo credit: Pablo Cambronero/UN-REDD, all other photos courtesy of World Bank or partners, used with permission.